We always try to provide the best services possible, but there may be times when you feel this has not happened. In such cases, we ask that you speak to us as soon as possible so that we may respond promptly. Most complaints are raised informally and can be dealt with adequately by discussion with a member of staff. However, if you are not satisfied, you are entitled to make a formal complaint by writing to our Practice Manager, Amy Waters. Email address: stoccg.complaints.parkviewgrouppractice@nhs.net A leaflet giving full details of the complaints procedure is available from the surgery and may be downloaded by clicking on the link below. 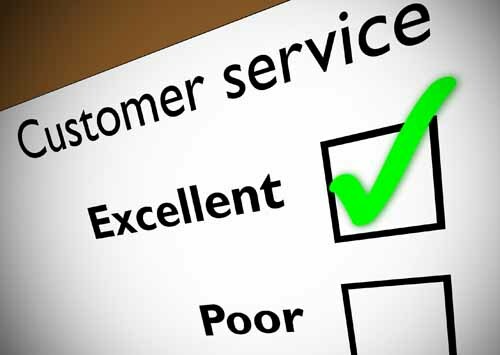 We believe it is important to deal with complaints swiftly. We will acknowledge your complaint within three working days and usually offer to arrange a meeting. Occasionally it may take longer, but we will keep you informed throughout. You may bring a friend or relative with you to any meeting. We will try to address your concerns, provide you with an explanation and discuss any action that may be needed. Please note that we have to respect our duty of confidentiality to patients and a patient’s consent will be necessary if the complaint is not made by the patient in person. Full details will be taken and a decision made on how best to undertake the investigation. We are not able to deal with questions of legal liability or compensation. We hope you will allow us to look into and, if necessary, correct any problems that you have identified, or mistakes that have been made. If you make a formal complaint to the practice it will not affect your right to complain to NHS England. If you are still unhappy with the way a complaint has been dealt with, you are entitled to contact theHealth Service Ombudsman. Leaflet below. The purpose of this document is to ensure conformity in order to achieve a good standard of medical practice. This is achieved by enabling the patient to have a chaperone present during the consultation and clinical examination of the patient. Medical examinations can, at times, be perceived as intrusive by the patient, so having a chaperone present protects both the patient and staff member.